Final nominees for The 52nd Annual CMA Awards, Country Music’s Biggest Night, will be revealed on Good Morning America tomorrow, Tuesday (Aug 28th). Luke Bryan, Dan + Shay and Sugarland will announce six categories (Entertainer of the Year, Single of the Year, Female Vocalist of the Year, Male Vocalist of the Year, Vocal Duo of the Year, and New Artist of the Year) live on air from Luke’s 32 Bridge Food + Drink, Bryan’s new restaurant and bar in downtown Nashville. 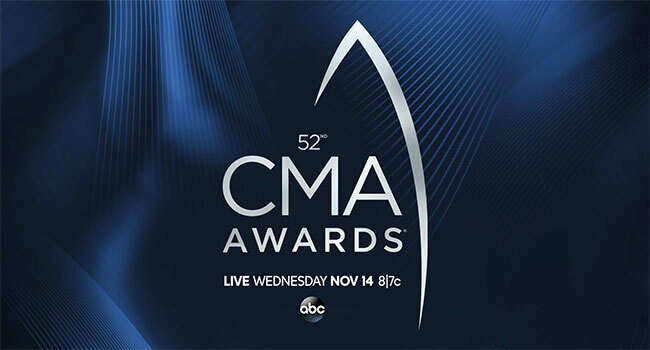 Immediately following the broadcast at 8 am CT, the remaining categories (Album of the Year, Song of the Year, Vocal Group of the Year, Musical Event of the Year, Musician of the Year, and Music Video of the Year) as well as the nine CMA Broadcast Awards categories and nominees will be announced on GoodMorningAmerica.com as well as Good Morning America’s Facebook page through Facebook Live and simulcast on GMA’s YouTube channel. The livestream can also be viewed on CMA’s Facebook page. Brad Paisley and Carrie Underwood return to host The 52nd Annual CMA Awards live from the Bridgestone Arena in Nashville Wednesday, November 14 at 8/7c on the ABC Television Network. The beloved hosts return for the 11th year.